The music powers your workout. And powerful technology tracks it so you can push even further, with no wires in the way. These sport headphones feature a built-in heart rate sensor and StayHear+ Pulse tips to give you the information and stability you need to take your workout to the next level.You put your heart into your workout. Your gear should be up for the challenge. A built-in heart rate sensor from PerformTek� tracks your performance with high accuracy directly from your ear, so you can rely on these headphones to do more than power your workout. Optimize your intensity without missing a beat of your music, and focus on the real challenge: digging deeper. A quick, wireless connection gets you moving faster. Pairing to your Bluetooth device is easy with voice prompts, or if you have an NFC-enabled device just tap your phone to the inline remote. And you�ll get up to five hours of wireless power from the rechargeable lithium-ion battery. There�s no need to interrupt your workout. Want the music louder or have to take a call? An inline mic/remote lets you answer/end calls, play/pause tracks and adjust volume�without reaching for your phone. When you move, you want earbuds that stay put. Our StayHear+ Pulse tips deliver stability during your most intense workouts. 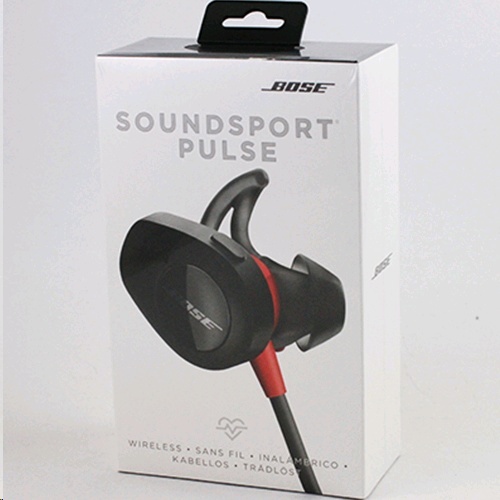 Their redesigned shape stays comfortable and creates a gentle seal in your ear, which improves audio performance. And the extended wing provides support and stays secure.